The truth is that I was taking the time to think about some of the "latest" events that have occurred. One of these in particular was that of the incident that took place on Facebook. Where the circulating news was that of a live murder video, that was posted to this social media platform. Whilst this event was very disturbing, we have to be mindful and remember: just as there are gangs, and individuals who shoot each other each day for no apparent reason, there are also those who will do the same things that can happen at any time and any place. And the drama that was displayed on Facebook was not a random act. Let me tell you it was not. It was simply staged just as we hear of the non - sensical shootings that take place each day. This murder was staged to deligitmize this particular social media platform. The parties that took part, were brought and paid for, just as the "Social Media Trolls" who seek to shoot and kill on the streets. This act was purposely done. The social alarm was the by - product that was caused because of secondary emotions. This was an intentional act to harm the Facebook developers. You see, this is what happens when emotions such as: Jealousy, envy, greed, and hate arise. Especially if you are successful. So true to the tweet I sent out pertaining to this incident, I will say that it was a scam. Also the individuals who were used to stage this controversy, were not randomly chosen. Once again we can see how the person of color (black) stereotype is being perpetuated here. And once again I remain true to my word, this was a scam. We can also say the same thing when it comes to the large protests that take place in the United States. These protests are also staged, and paid for by opposing party members. I find it odd that there would be a protest aimed at President Trump for not releasing his taxes, and then there are issues such as: gangs, rapes, murders, shootings, deceit and betrayal. These are happening everyday. Why isn't anyone protesting about the violent murders? It is simple. Draw the connections. Because the very protests that are staged, brought and paid for by groups, also carry out the non - sensical murders. The latest heartbreak was that of Isaiah Thomas's sister, who was only 22 years old. Countries who are networked and linked to random shootings or the "staged plays" in our country, need to focus on their own country. It is like having a nosey neighbour. You see, everything arrives with a limit. Whilst there must be love for our neighbour. There must also be respect for our neighbour, and when violating or crossing boundaries, this will be perceived as unwelcome. We see leaders who are striving to create unity, we also see those who have occupied an office space to use as an abuse of power, forgetting about their own country. Greed and envy strike in, because one nation, does not want to see another nation succeed. When really all nations should be striving to build a harmonious collective. Murder and plots that are staged have no place as we move forward. The truth is that once I have tasted love, and what love and life feel like, there is no turning towards death. Once you have a taste of the life giving force, there is no other path but life and love. Love is what we should strive for. Love is the life giving force. This may sound simplistic, but in it's complexity, it is simple. Love is what we are. 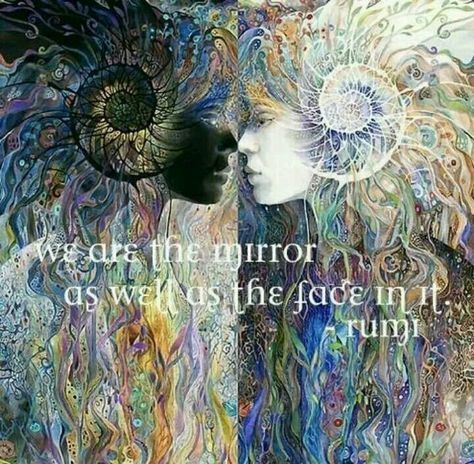 It is our natural state of being. ​ Anything else that arrives is through our conditioning and our experiences. To return to the place of love is simplistic. It is simply about using creativity for the purposes of creation, not destruction. Creativity is a natural flow, it requires honor, it is divine. Any mistreatment of creativity, may seem like a harm to others, but really it is a harm to the self. To the opposing parties - you must think about how you are using your power, how you are using your resources as an abuse of power. And to the Facebook developers, I would say that whilst this was a very unfortunate incident, it is also an alert to the "trolls" out there, who are using this platform to purposely sabotage, and stage their murderous plots. There is a blessing is the alert. Dedication: Whilst there have been some unfortunate truths that I have spoken. I also wanted to acknowledge Robert Godwin Sr. who was the victim. My sincere thoughts of love, prayer, and condolences to family, friends and loved ones. I pray for healing. My thoughts to share with love & kindness.